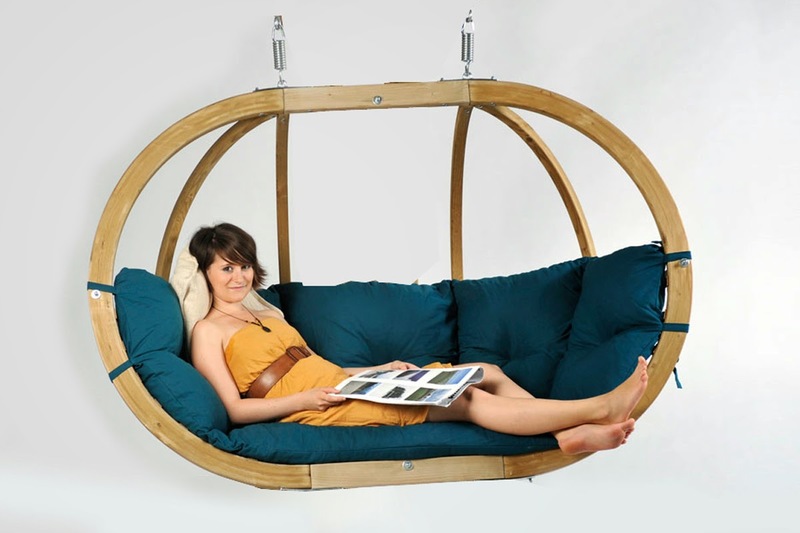 The Double Globo Green chair is a unique item and it is perfect for your yard in the summer using the stand and indoors during the cooler months, hanged from the ceiling just with two Powerhooks. It's finishings make it both beautiful and very strong and safe. The cushion is available in a lighter colour as well and the single chair is just a comfy and special.